Jeffrey Welch's Blog: Are These Halloween Dangers for Dogs Lurking in Your Home? 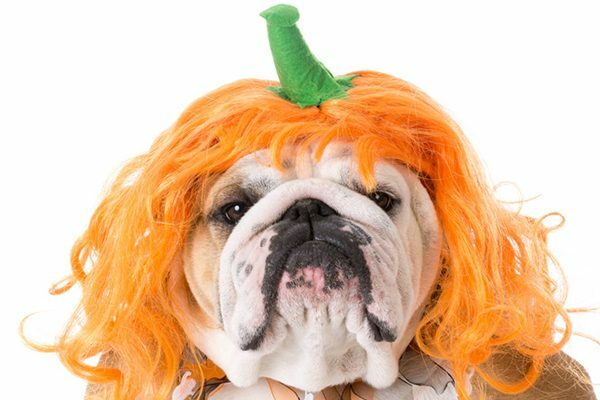 The post Are These Halloween Dangers for Dogs Lurking in Your Home? by Marybeth Bittel appeared first on Dogster. Copying over entire articles infringes on copyright laws. You may not be aware of it, but all of these articles were assigned, contracted and paid for, so they aren’t considered public domain. However, we appreciate that you like the article and would love it if you continued sharing just the first paragraph of an article, then linking out to the rest of the piece on Dogster.com. Halloween harbors a host of frightfully funny sights and sounds, especially for pet lovers: Beagles crooning along with golden oldies like “Monster Mash.” Chihuahuas dressed up as Bruno Mars, sporting miniature guitars and indignant expressions that seem to proclaim, “Let It Go.” Unfortunately, many common trick-or-treat activities aren’t so entertaining. They can prompt pet panic attacks, pancreatitis and even poisoning. 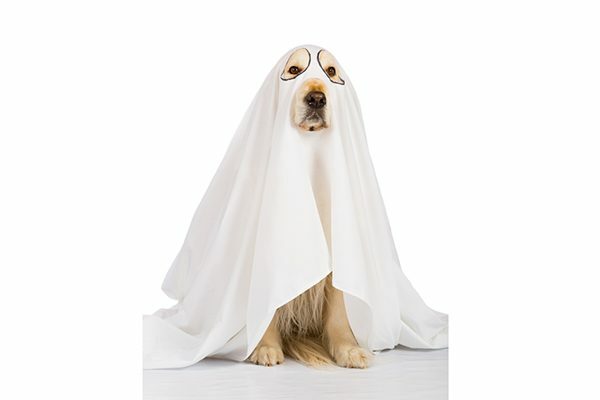 But never fear: This handy checklist of Halloween dangers for dogs will arm you against terrifying surprises, so your furkids stay safe and secure. Halloween candy is among one of many Halloween dangers for dogs. Photography © WilleeCole | Thinkstock. Chocolate scores high on many kids’ lists of #HalloweenGoals. Unfortunately, chocolate is also highly toxic to dogs. That’s because it contains both caffeine and theobromine, which are tough for furry friends to process. To help Fido celebrate fearlessly, consider carob-flavored treats. They have the outward appearance of chocolate — but in occasional, nibble-sized quantities, they’re safer for four-legged friends to ingest. According to the Animal Poison Control Center (APCC) run by the American Society for the Prevention of Cruelty to Animals (ASPCA), grapes and raisins can be dangerous nibbles as well. Both have caused kidney damage in certain canines. Because the exact reason for this documented reaction is still being studied, it’s best to keep these tasty tidbits far from furry friends. It’s sometimes easy to forget that when placed on a table and lit, fall-scented candles are approximately pet-high. The same goes for miniature tapers and tea lights positioned inside carved pumpkins, too. Halloween is a time when larger-than-average groups converge inside homes for themed parties and scary movie binge-watching. So, it pays to set firm house rules when it comes to feeding the family pooch. As noted above, anything that contains caffeine could potentially prove fatal. That includes pumpkin-spiced lattes, mulled tea, hot cocoa, cola — and even coffee grounds. And feeding high-fat treats and trimmings from the holiday buffet table could prompt sudden pancreatitis flare-ups. Keep all these items far from questing noses. When outdoor temperatures begin to plummet, some people start using rodenticides to discourage pesky critter infestations. Similarly, late autumn is a common time to begin adding antifreeze to the family car. Don’t forget, these poisonous chemicals can easily kill a canine. Only use these types of household products with tremendous caution — and clean up any spills immediately. Both vets agree that antifreeze consumption should always be treated as an extreme emergency requiring rapid medical attention. Some owners think it’s super-cute to let their pooch have a few slurps of beer. Unfortunately, ingesting even minute amounts of alcoholic beverages — and flavored coffee syrups, too — can lead to doggie digestive upset, liver issues or organ damage. Remember that a canine’s organs are much smaller than a human’s, and prone to faster impairment. For a non-alcoholic alternative that lets your pup party away, consider a low-sodium broth or a broth-based, meat-flavored pet beverage like Bowser Beer. Ringing doorbells might spell out anxiety for some dogs. Photography © fotoedu | Thinkstock. Many pups put doorbells right at the top of their terror lists. A loud, abrupt noise that proclaims the entry of unfamiliar strangers? It’s not hard to understand why this might be upsetting. For pets who associate that familiar “ding-dong” sound with something dire, swaddling can sometimes relieve excess anxiety. The principal is similar for both canines and human newborns. Recognized Soviet physiologist Dr. Konstantin Buteyko and his colleagues have explained that swaddling can ease and prevent hyperventilation from the upper chest area. It creates a sort of systemic feedback loop: Breathing begins to issue from the lower diaphragm; smaller volumes of air are inhaled; and overall respiration slows to create a calmed feeling. Commercial products like the Thundershirt were designed around this swaddling dynamic, and they’re readily available at most pet stores. Speaking of doorbells, let’s talk strangers and visitors. Pets instinctively guard their own territory. So, it can be extremely upsetting when an endless parade of giggling ghosts and goblins visit… or worse, head straight into the house accompanied by loud music and strobing lights. “This loud, high-energy environment can cause anxious pets to escape right out the door of their homes,” notes Dr. Behrens. Dr. Katz agrees that panicky pets who bolt could get lost, abducted and even hit by a car. If you host Halloween revelers in your home — in any capacity — be extra-sensitive to your pet’s needs. It’s often best and safest to let your pooch hunker down in a secure, quiet room away from the action. In pronounced cases of anxiety, an overnight stay at a reputable boarding facility or with a trusted family member, friend or sitter can give furry friends a reassuring break. As an added seasonal precaution, it’s always smart to keep the number of your local vet and emergency clinic close at hand. Also, remember the hotline for the ASPCA Animal Poison Control Center: (888) 426-4435. If anything unexpected happens, consult these resources without delay. Here’s wishing you and your pet a safe, secure and ghoulishly good time this Halloween! Thumbnail: Photography © damedeeso | Thinkstock. Can Dogs Eat Pumpkin? What About Other Fall Vegetables?